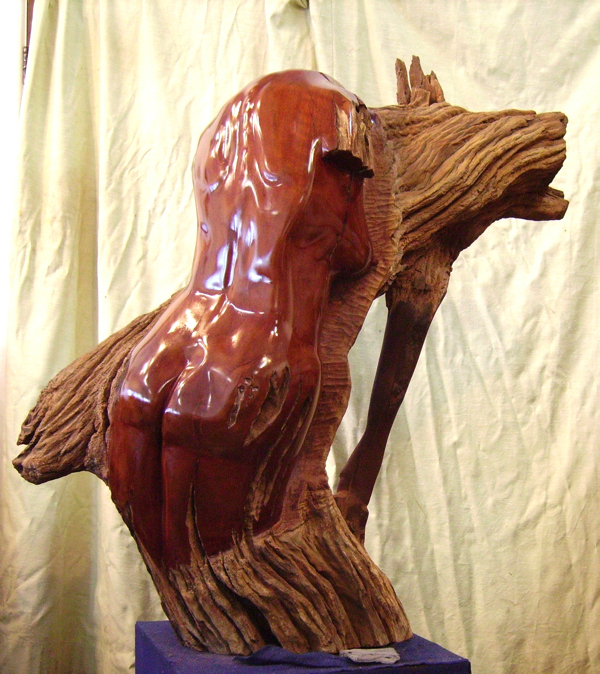 New Works of sculptor and artist Leigh Morgan. 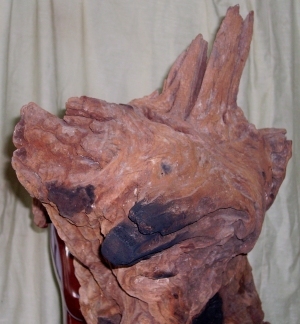 This Australian Rosewood sculpture took many months and two different models. The first model Gloria had her back to the wood, yet could tell that my chainsaw was cutting down the curve of the back. The back is largley Gloria, however the shoulder blades are thos of Liz Challis (my Wife). All images and text on this site are subject to copyright. No images are to be reproduced without written permission.